Miami’s downtown was the site for a massive urban experiment to kickoff 2017, as the Miami Downtown Development Authority teamed up with the Knight Foundation to test a concept called Biscayne Green. Biscayne Green was a large pop-up park that reimaged three parking lots along busy Biscayne Boulevard and adjacent to Bayfront Park. 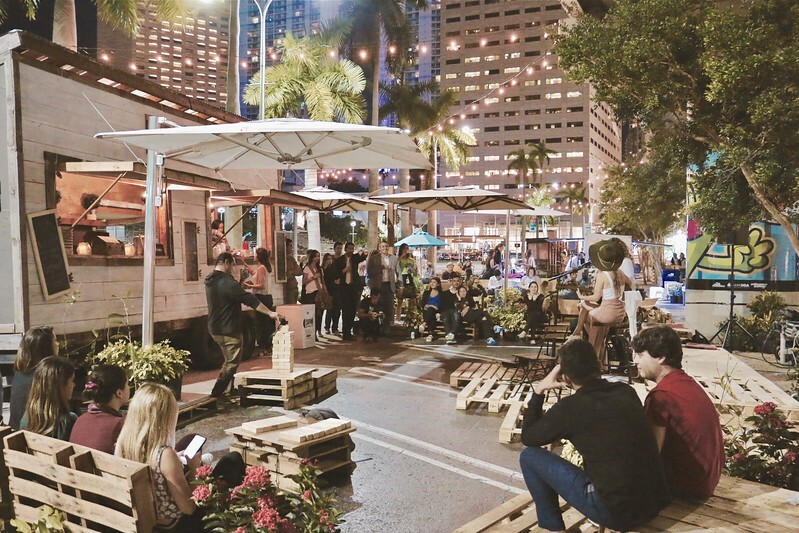 Established as a tactical urbanism intervention, Biscayne Green served as a way to start conversations about how to make downtown Miami a walkable neighborhood that can thrive over the long term. 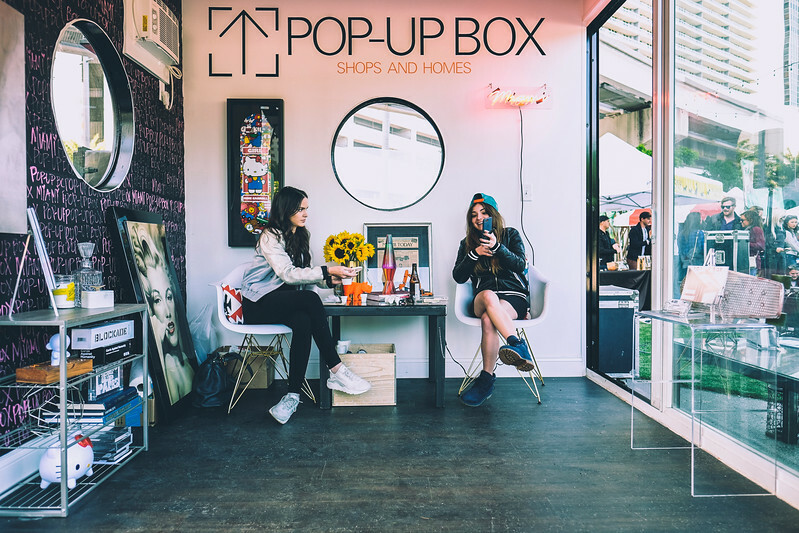 The three-week experiment created a temporary promenade along Biscayne Boulevard that featured food trucks, pop-up retail stores, a variety of street furnishings and calendar of daytime and evening programming. The pop up park stretched over three medians in total between SE 2nd Street and NE 1st Street. Each day, visitors could experience the space as a passive user engaging with a dog park, outdoor lounge, children’s playground or a large flex field. 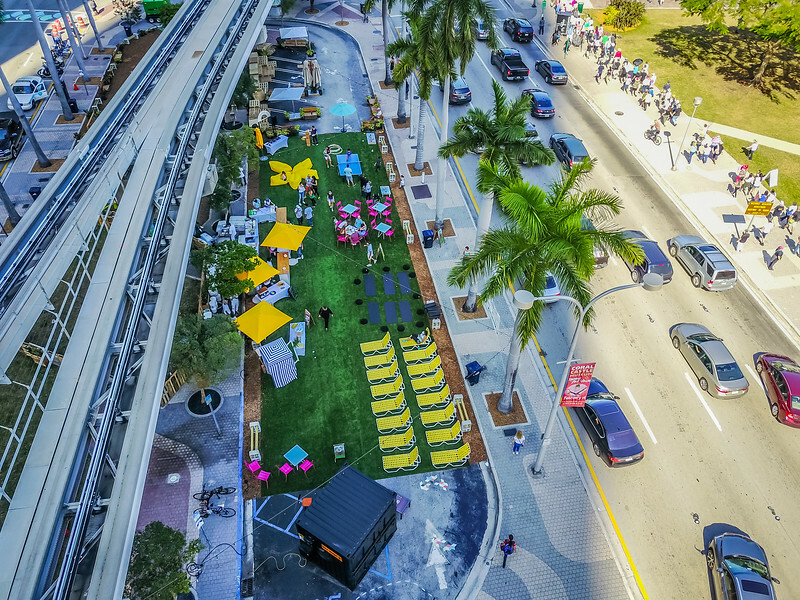 Other users were attracted to Biscayne Green by participating in events ranging from food festivals, concerts, physical fitness classes, outdoor movie nights and coworking and networking events. Organizers hoped to provide an interactive sneak peek into the future of downtown Miami, a future that features a highly functional, walkable environment that meets the needs of Miami’s Central Business District and waterfront. 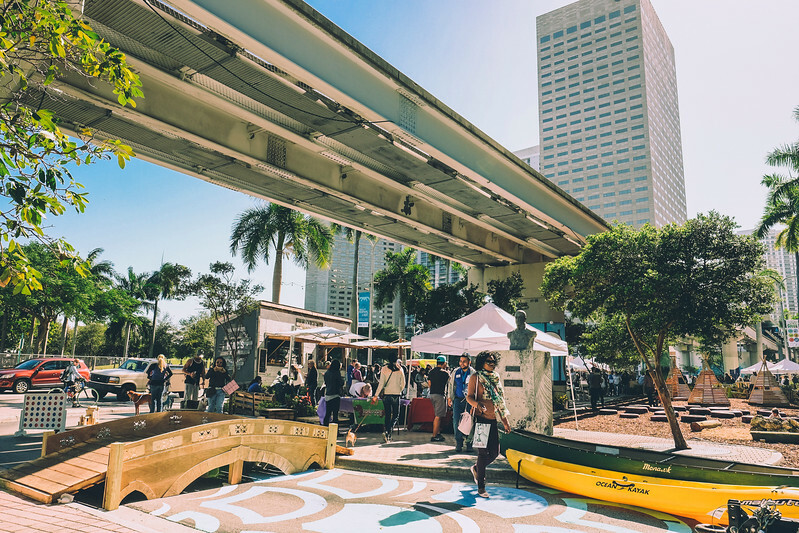 Instead of Biscayne Boulevard serving as a barrier, downtown stakeholders are interested in improving connectivity by constructing a permanent promenade to serve as a destination for residents, workers and visitors. This is not the first time that City organizations have collaborated with private stakeholders to help re-imagine Miami’s downtown. We previously featured the Baywalk pop-up, a temporary art installation designed to improve public access to Miami’s urban waterfront. For Biscayne Green, the temporary project was a collaboration between the John S. and James L. Knight Foundation, The Miami Foundation, Miami Downtown Development Authority, Street Plans Collaborative, Prism Creative Group, David Font Design and Dover, Kohl & Partners. NEXT: An Interview with Christina Crespi Miami Downtown Development Authority about lessons learned during the Biscayne Green demonstration project.